When questions arise, expert advice is just a phone call away. Lynn Sacramento, RN, BSN wears many hats at Hollister Incorporated. She is a Wound, Ostomy and Continence (WOC) Nurse and Clinical Support Educator who provides educational support to the entire Hollister Secure Start services team. Her role includes training new sales associates and educating our staff about new products for ostomy, continence and critical care. Ostomates and caregivers know her as the helpful voice at the other end of the phone because she is also one of Hollister&apos;s Secure Start clinicians. Below Lynn shares five top concerns from callers, along with the questions she asks to find a solution that will suit her patients&apos; needs the best. 1. I’m having leakage under my pouching system. How do you prepare your skin before applying the skin barrier? If the products are being applied to wet or irritated skin, it may cause issues with adherence. Are you cleaning out your pouch or do you put anything in it? And most importantly, where is the leakage occurring? If it’s always in the same area, you can evaluate the area for any creases or uneven surfaces such as scar tissue, incisions, or your belly button. These areas can cause an uneven surface under the skin barrier. If this is the issue, you might try a barrier ring as a filler to even out the surface area. Make sure to measure your stoma size when sizing the skin barrier ring. You’ll know it’s a correct fit when the opening fits where the skin and the stoma meet—no skin should be exposed. 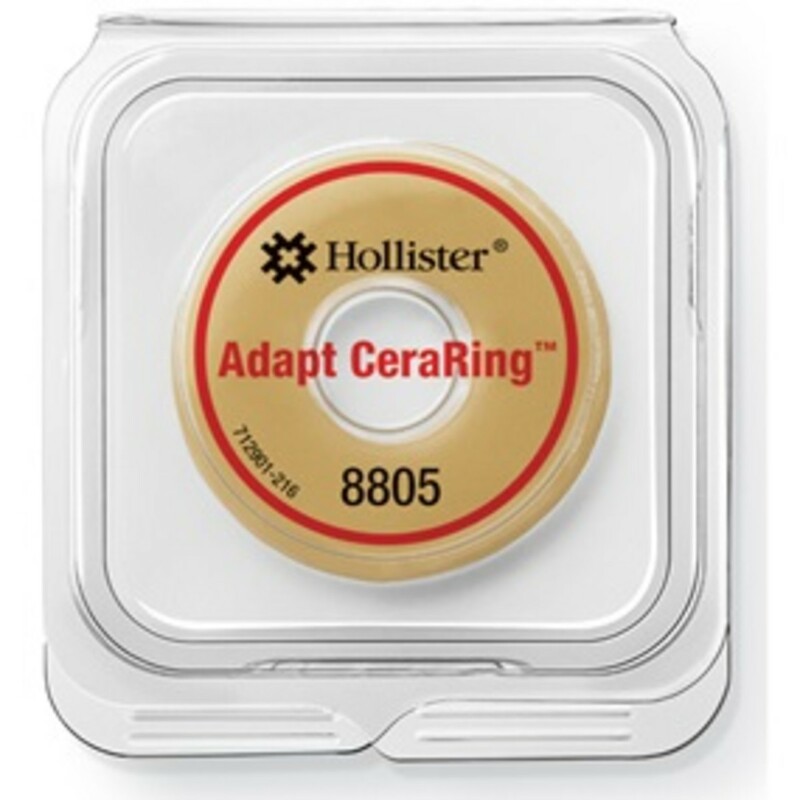 Adapt CeraRing™ provides a custom fit to help prevent leakage and skin complications. 2. I’m worried that my pouching system is not discreet. If you have a colostomy or ileostomy, the ostomy pouch can sometimes fill with gas and start to balloon out which might show more under your clothing. Using a pouch that has a built-in filter can help release the gas. I also recommend emptying your pouch when it is a third to half full. When your pouch is completely full, it creates access weight which can pull on the barrier, bulge under clothing and could result in a leak. When it comes to being discreet, it’s important to find the right pouching system for your body. Hollister offers one-peice and two-piece systems in drainable and closed-end styles and various lengths with options of transparent, ultra-clear and beige. 3. The skin around my stoma is irritated and weepy. 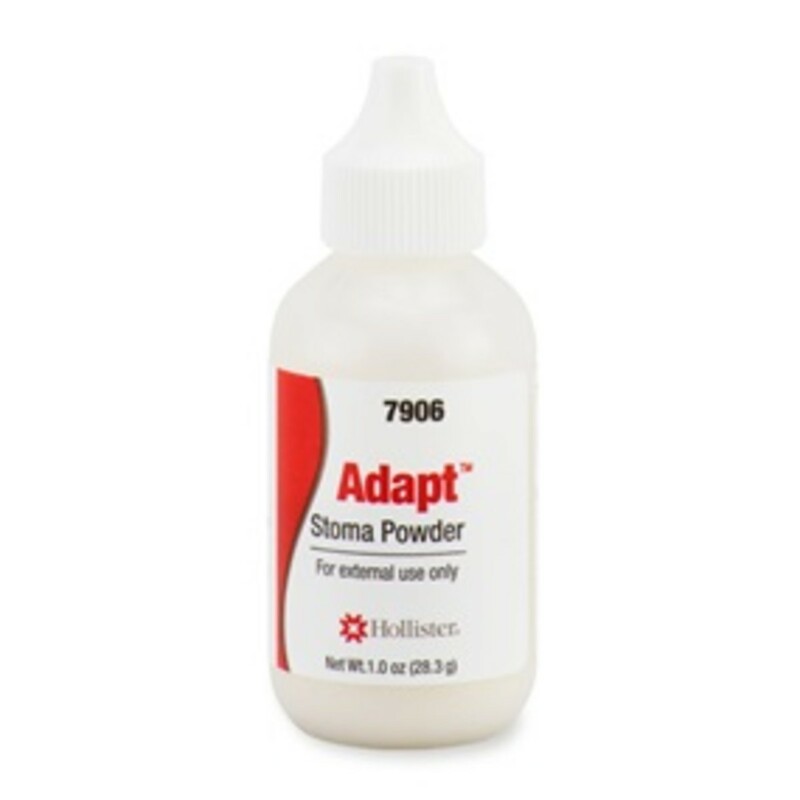 Adapt™ stoma powder can be used to absorb moisture from broken skin around the stoma which allows for better barrier adhesion. 4. My pouching system is not staying on well. It may be a problem with the seal of your barrier. Make sure you have a barrier that you can count on. Everybody is different when it comes to wear time. A good rule of thumb is to determine how many days you can rely on the product to provide a secure seal without experiencing leakage. Monitor the back of the barrier when you change the pouching system. If you see stool or urine from the stoma that has leaked under the barrier, it’s a sign that the barrier seal is compromised and the barrier can begin to lose adherence to the skin. If this occurs then the barrier should be changed. It’s important to change your product on a routine basis, which can be determined by the lack of stoma drainage under the barrier as well as the condition of your skin. 5. I am noticing an odor and concerned others will too. Adapt™ lubricating deodorant is used inside the pouch to neutralizer odor. Have a concern that wasn’t mentioned here? Visit our Ostomy Care Learning Center or our YouTube channel for additional support and resources. To get more information like this and receive updates regarding Hollister products, services and education, click here. Or call us today at 1-888-808-7456. This article was made possible by a sponsorship from our friends at Hollister Incorporated.